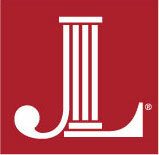 The Junior League of Birmingham welcomes all women who value our Mission. We are committed to inclusive environments of diverse individuals, organizations and communities. • School Readiness – Improve the educational readiness and the first learning experiences of young children (ages 0-5 yrs). • Women and Children’s Literacy – Promote and improve literacy among women and children. • Success in School – Prepare elementary students to succeed in later grades and subsequently, graduate from high school. • Women & Children’s Homelessness – Provide emergency transitional support and/or improve the quality, availability and affordability of basic necessities and support services needed to maintain economic stability. • Personal Finance Skills Training for Women – Enhance women’s financial literacy, ability to build savings and gain assets. • Job Readiness for Women – Prepare women for gainful employment and increase their opportunities to obtain financial stability. • Maternal Health & Infant Well-Being – Improve the quality, availability and affordability of maternal and infant health educational materials, programs and services. • Living Healthy for Women and Children – Promote healthy lifestyles through fitness, proper nutrition and avoiding unhealthy choices and behavior. • Access to Health Care & Support for Women and Children – Increase access to affordable, quality health screenings, preventive health care resources and/or support services for individuals and their families who have suffered a health crisis. • Domestic Violence – Improve the quality, availability and affordability of educational materials, resources and services that foster environments free from negligence, violence and safety hazards. • Juvenile Crime – Promote risk-avoiding behavior among youths and/or intervention strategies that reduce the occurrence of juvenile crime. • Emergency and Disaster Relief – Provide emergency transitional support to women and children suffering from a disaster or safety crisis, and/or promote intervention strategies, emergency plans and other efforts that mitigate the damages of women and children.